My Beloved Wife Lei and I spent plenty of time searching for the wedding reception venue that fits both our budget and requirements. Our visits to the PAF Aerospace Museum and SM MoA The Venue were unsuccessful. Max’s Restaurant was another option but Lei didn’t like it. 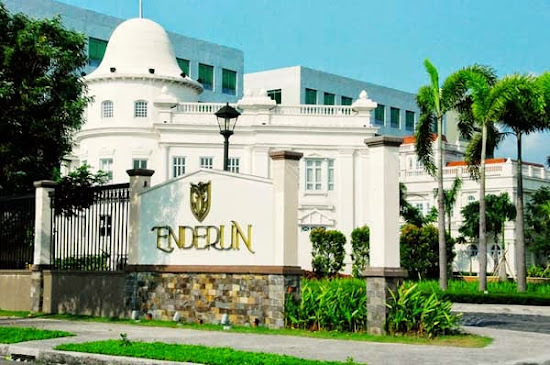 Enderun College was recommended by our florist because it is near our church. Enderun is a school that specializes in culinary arts, hotel and restaurant management, and international hospitality courses. We were told that students serve as kitchen and wait staff during the wedding reception as part of their training. Unfortunately, no one entertained us during our visit because Enderun’s Banquet Sales Associate is only available during weekdays. We made no further inquiry. For more information about their wedding venues and facilities, visit Enderun’s website. You can also visit them on weekdays at McKinley Hill, Taguig City. Refer to the map below for the location of Enderun. There was an event hosted by a cockfighters and pigeon breeders club when we visited Park Metro. The whole venue was filled with sabungeros and pigeon racers, and their roosters and pigeons. Park Metro is located at EDSA corner Roxas Boulevard, just beside Toyota Manila Bay branch. Park Metro has two fully air-conditioned function halls that, when combined, can hold 250 guests for banquet arrangement and 350 guests for cocktail arrangement. Function Room A costs 28,000 pesos while Function Room B costs 40,000 pesos for 5 hours. Rooms A and B combined costs 68,000 pesos. Park Metro offers parking space, air-conditioned suite that can serve as holding area for the newly-wed couple, and back-up generator that can be used when there’s a power blackout. Like what happened at Enderun, no one entertained us since we visited the place during a weekend. We didn’t made further inquiry. For more information about Park Metro, just call telephone nos. (02) 856-4148 and (02) 898-8965 local 8965, or e-mail at leasing@federalland.com.ph. 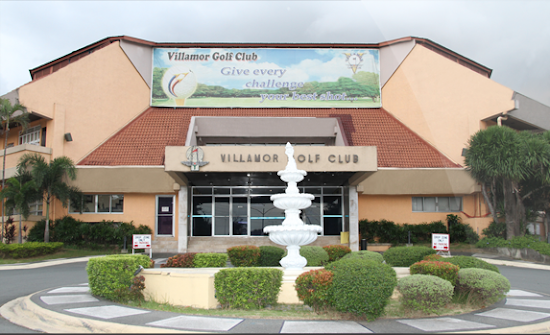 Villamor Golf Club is another Philippine Air Force facility that we checked for our wedding reception venue. It is located at the corner of SLEX and Sales Road at the “Gate 3” of Fort Bonifacio (check the map below for details). I was not impressed with the function hall of the Villamor Golf Club because I saw that some parts of it were dilapidated. I also thought that the place was too bare. My thoughts were wrong, however, since some weddings reception held in Villamor Golf Club (particularly the weddings of Scott and Claire, and Kirk and Reika) looks elegant especially because of the chandeliers and drapings. A good florist and venue designer are vital for couples who’ll be booking this venue. 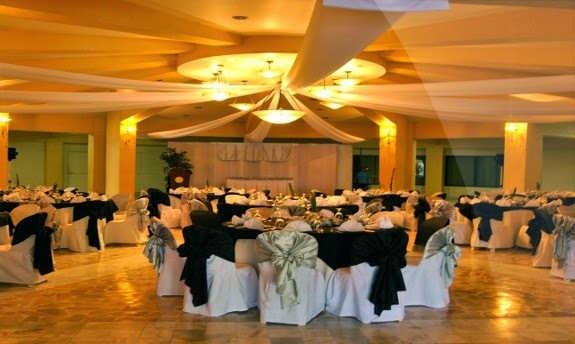 Villamor Golf Club's Ballroom Area (Source: PAF). 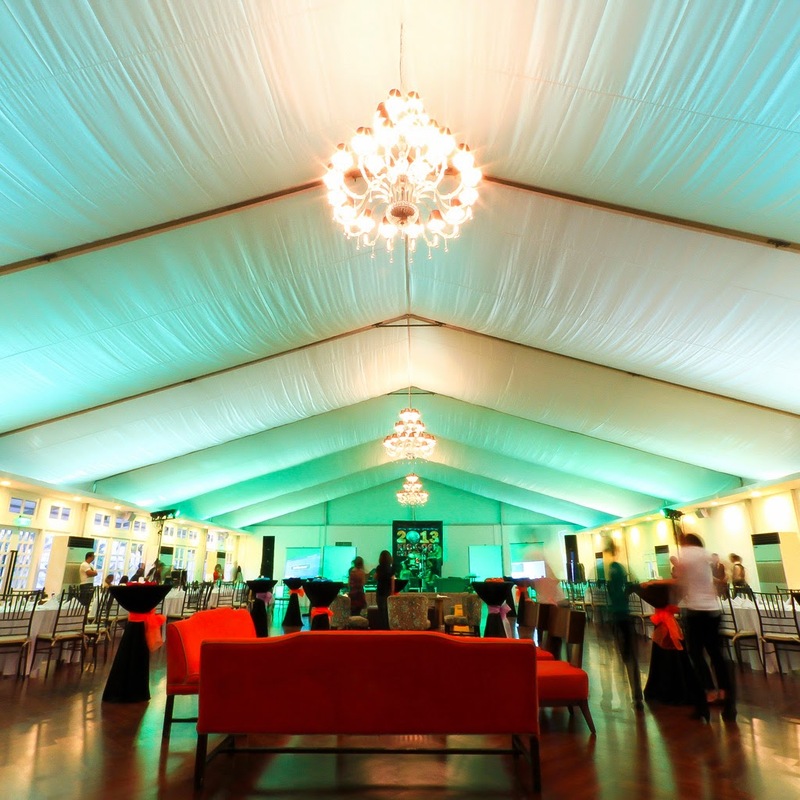 There are plenty of rooms in the function hall of the Villamor Golf Club. We saw a college reunion and a birthday party being held at the same time during our visit to the golf club. The cost of renting the Ballroom Area (Villamor Golf Club's largest function room) is about 45,000 pesos, inclusive of the food. Lei wanted to rent the place but the problem is that the manager can only give us the latest menu about 2 months before our wedding. This means that the 45,000 pesos price is not yet final. We thought it would be a hassle to wait for the latest info from Villamor Golf Club so we searched for another wedding reception venue. Couples who want to try the Villamor Golf Club for their wedding reception may inquire through their telephone nos: (02) 853-4977 and (02) 853-4988. Enderun, Park Metro and the Villamor Golf Club are good wedding reception venue but the one that we booked is Golden Bay Restaurant which is a Chinese restaurant located near SM Mall of Asia. Goshhhhhh!!!! I love the architecture of the first one, old colonial design...but the ballroom in the 2nd one looks nicer, more grand. You are correct. These reception venues looks good but we chose the Chinese restaurant for our wedding reception. I agree! the 2nd pic looks great than the other one. Thanks for the info!